Seat belts are designed to keep people from suffering extreme harm during a car accident as they are supposed to keep them more in place. As such, when a rollover accident happens, proper seat belt functioning is all the more important. Among the most prevalent causes of death in rollovers is failure to wear a seat belt. This is because a lack of a seat belt makes it extremely easy for an occupant to be thrown around the vehicle or even to be thrown from the vehicle entirely. The best way to protect against this is to buckle up. 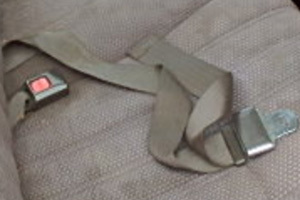 Unfortunately, defective seat belt latches can make such measures irrelevant if they are defective. When a seat belt latch fails during a rollover accident, a passenger can suffer serious consequences despite taking all possible precautions. If you or a loved one was injured or killed in a rollover accident because of a defective seat belt latch, you may be entitled to compensation for your pain and suffering from the vehicle's manufacturer. To learn more about your legal rights, contact the experienced legal team of the Willis Law Firm today at 800-883-9858. Because of the serious repercussions that a broken or malfunctioning seat belt latch can have, it’s essential that the manufacturers, designers, and distributors properly test these parts and don’t allow cars with defective parts on the market. However, when they do, they should be held responsible for the consequences that this may have. Anytime someone is involved in a rollover accident, it can be an extremely difficult and frightening time. At the Willis Law Firm, our compassionate and knowledgeable legal team is prepared to help our clients confront the negligent vehicle manufacturers who may be responsible for their injuries and fight for the compensation they need. For a free consultation, contact us today at 800-883-9858.